Move beyond outmoded digital content management portals and web-to-print systems. There’s a better way. When your channel partners are meeting with potential clients, are you sure your product is making it in front of buyers’ eyes? Make sure your brand is top of mind with assets that find your reps exactly when and where they need it. 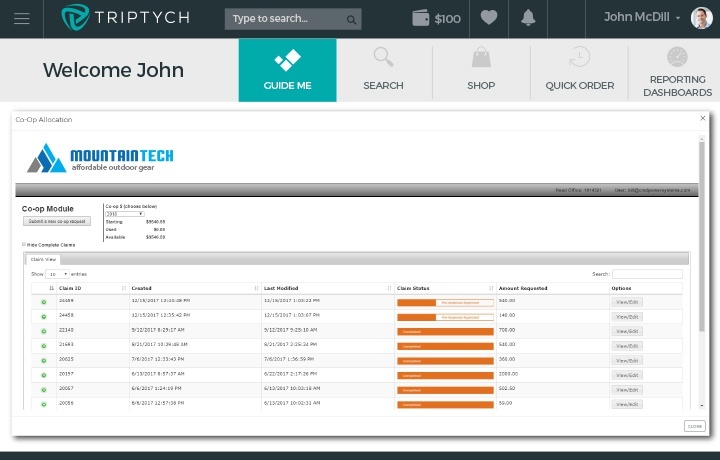 Triptych’s centralized partner relationship management platform not only gives channel partners on-demand access to assets in the format they need, but it helps you centralize and manage your vendors from a single portal. Take the burden off the marketing team by scaling your resources across your large, distributed sales force. This allows your team to be strategic in their marketing efforts and assist 100% of your channel partners. Aligning sales and marketing operations impacts the entire organization, from the legal and branding team concerned with compliance issues to the financial team looking at budgets. Partner marketing enablement gets your entire team reaching for the same goal. Set your channel partners up for success with smarter digital content management. Without the right content at their fingertips, your channel partners are left to go rogue with your messaging and your branding. Make your brand stronger and their pitches more effective, with content that knows them. Identity-based content recommendations give your reps the power to personalize where appropriate while staying within brand guidelines. By adding integrated co-op management, your channel partners will want to put your brand first when pitching new products and services. 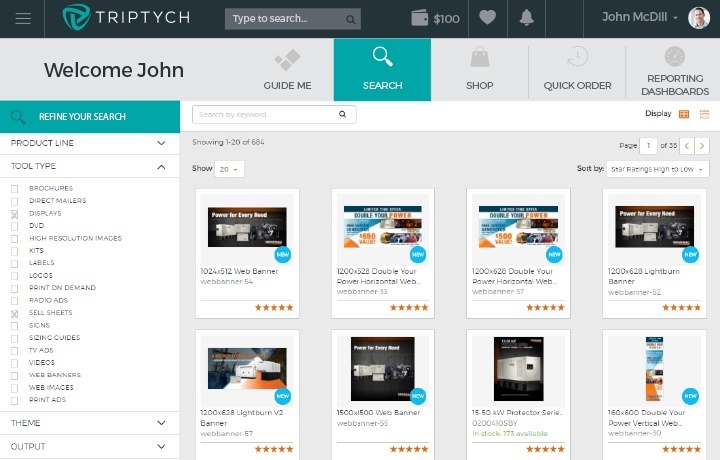 Your channel partners will prefer your partner enablement platform that gives them quick access to the funds they have earned and be rewarded for engaging with your brand instead of your competitor’s. When your marketing team knows what works, they can maximize your budget. That’s partner marketing effectiveness at its finest. Are you confident your content is making it in front of potential clients, or are time and resources being spent on creating content that isn’t getting you returns? The opportunity cost of unused or underused marketing content for enterprise organizations is over $2 million. What could you do with a couple extra million bucks? Stop wasting money on content that simply doesn’t cut it in the field. Get visibility on top-performing assets, and let that data drive your spend toward strong return on investment. How can you keep your brand front and center? 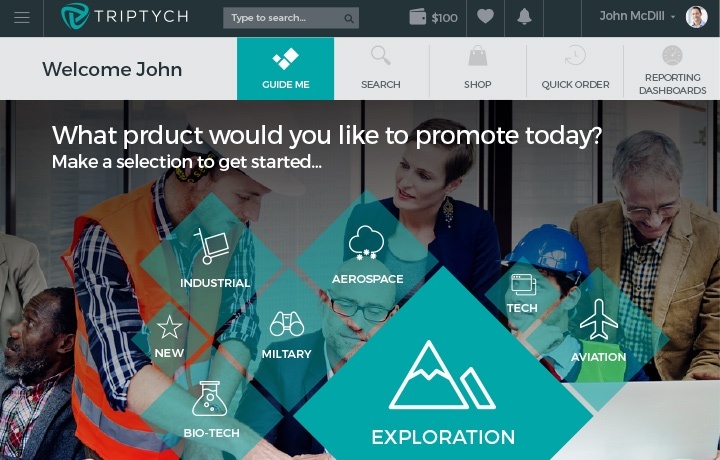 Find out how Triptych’s cloud-based platform makes it easy for your channel partners to deliver your brand. Partner relationship management means more than your channel partners staying on brand, it means they engage with your brand.